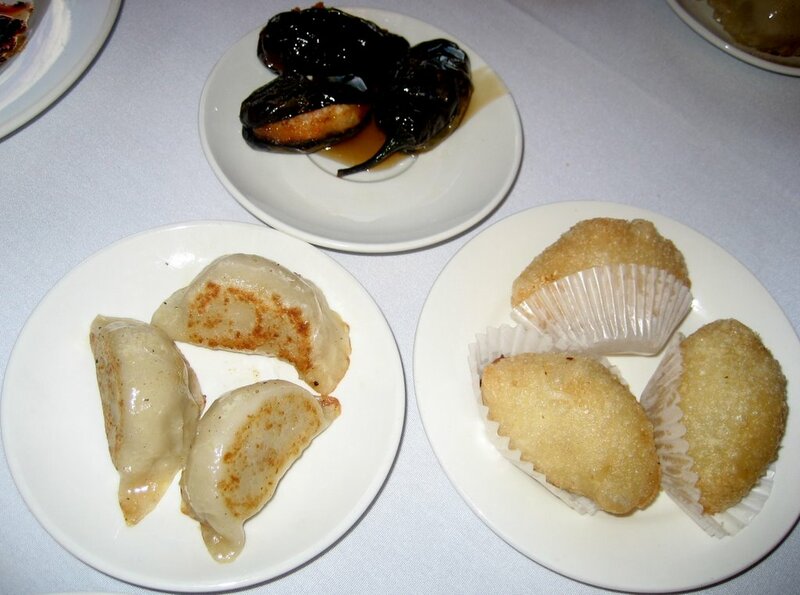 We are going to review this restaurant a little differently because there are too many small dishes to rate! This is more of an overall rating. 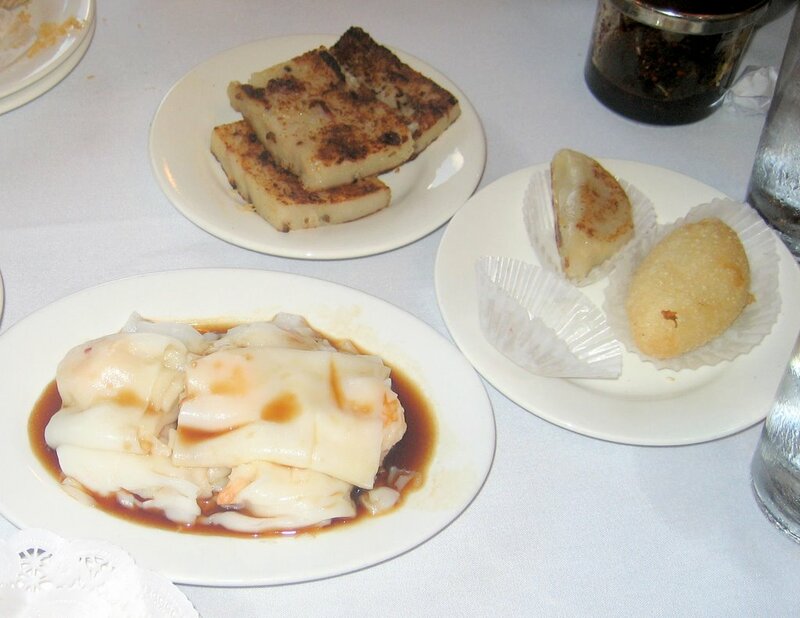 Dim sum is Chinese cuisine which includes serving food in a steaming basket or small plate. 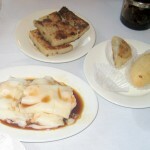 Much to our delight, Shanghai had a full array of dim sum staples, but seemed to lack a little in vegetarian fare. The food tastes deliciously fresh and authentic, and came out piping hot. The dumplings are notably fantastic! We went with a small group around 12:30 on a Sunday, and it was a full house. We ended up waiting only 20 minutes though because the turnover is quick here. The place is so busy there is almost no time for niceties! The waiters who pushed the carts were pleasant, and some of them even cut some of the food in half after we requested it. The carts came around often too – which is nice when you are hungry! The bill can be split at the end – another plus. Usually you pay upfront at the end, but the owner happened to grab our bill and bring it to our table for us. So far, great food and good service! 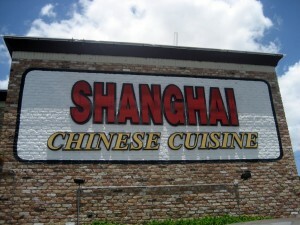 Shanghai is mid-size restaurant that has a woodsy, Texan feel to it, but with bright crystal chandeliers. 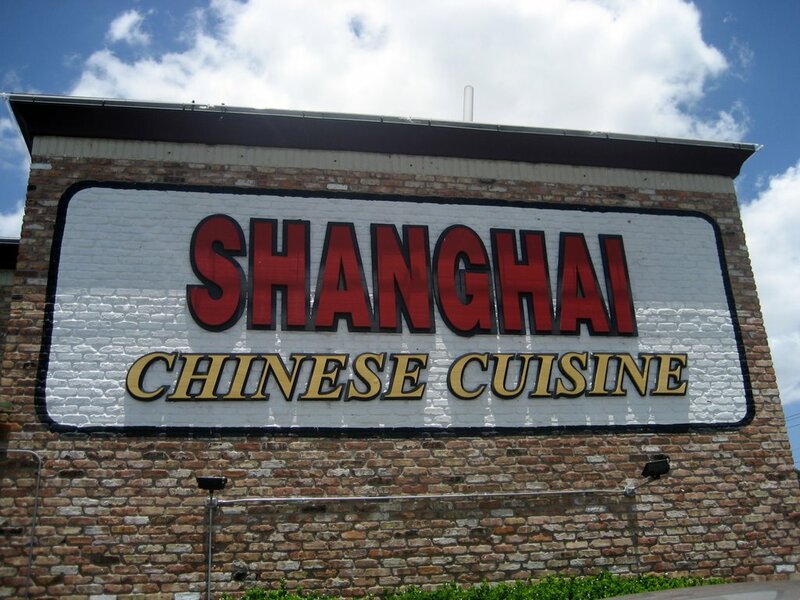 If it wasn’t for the sign outside, you wouldn’t know you were in a Chinese restaurant. Parking can be frustrating during peak times since the parking lot is shared with other shops and the spaces are designed for Smart cars (they are tiny!). 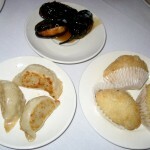 For those unfamiliar with Dim Sum, we suggest going with a larger group because this way you can try many more dishes.